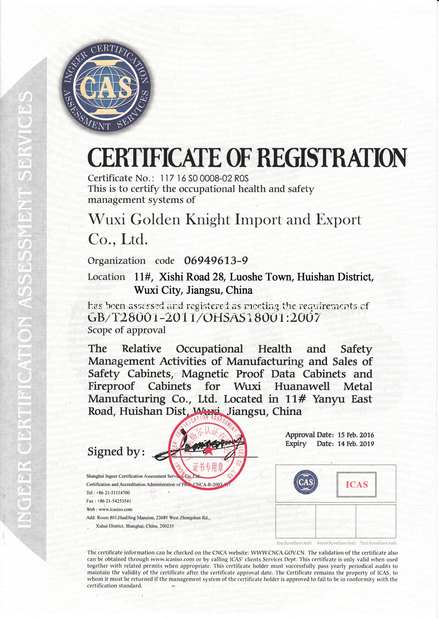 Golden Knight poly corrosive cabinet, with seamless structure, ensures almost no leakage. It performs excellently in corrosion resistance and secondary leakage prevention and control. 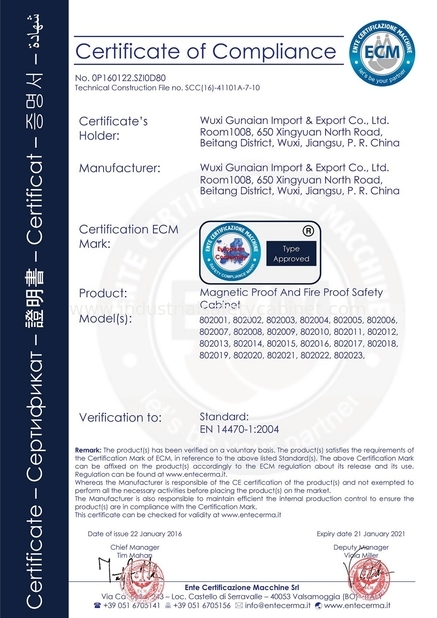 The double padlocks design enables double-person lock management, which complies to the standard of EPA264.175 and OSHA 29 CFR1910.1450. There are acidic and corrosive chemical warning labels to give your chemical storage safety management. - Four polyethylene spill trays are included. They are removable to enlarge the inner space. 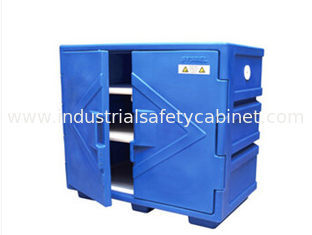 - The doors of the acid base cabinet are hinged. The two doors can be opened from two sides easily. Our safety products are widely used in automotive manufacturing, petrochemical, industrial manufacturing, laboratory, food industry, power industry, new energy and other fields.